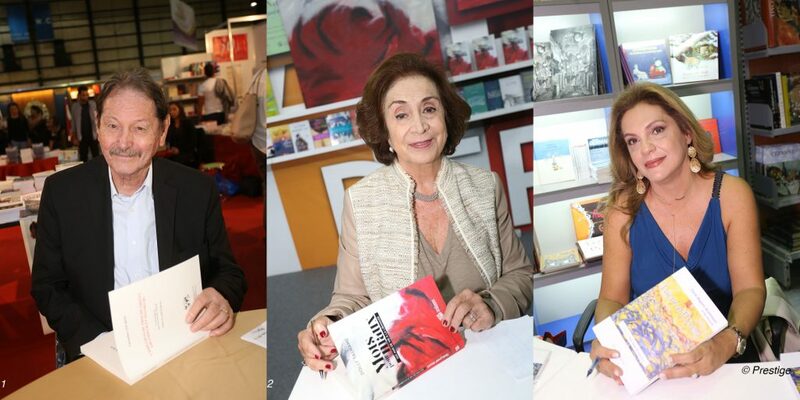 Lebanese minister of Culture Rony Areygi and French minister of Culture Audrey Azoulay inaugurating the book fair. The 23rd edition of the Francophone Book Fair organized by the French Institute of Lebanon in collaboration with the Union of Book Importers, was inaugurated on November 4, 2016 at Biel in the presence of the minister of Culture Rony Areygi and Ms. Audrey Azoulay, French Minister of culture. The exhibition runs until November 13, this year under the title «Reading Together» with as guest of honor Salah Stétié. Like every year we find the variety of publications with novels, art books, youth publications like comics and also academic books. Every year authors and exhibitors will be at the rendez-vous for events, workshops, exhibitions, debates and signatures but also theater and cinema.